Summer's almost over, but I won't let it end without showing you my nails with the most summerific color I can think of. Fun, bright, in-your-face orange! A color that definitely stands out. If this color isn't summerific enough for you, then I don't know what is. These were my nails a few weeks back. 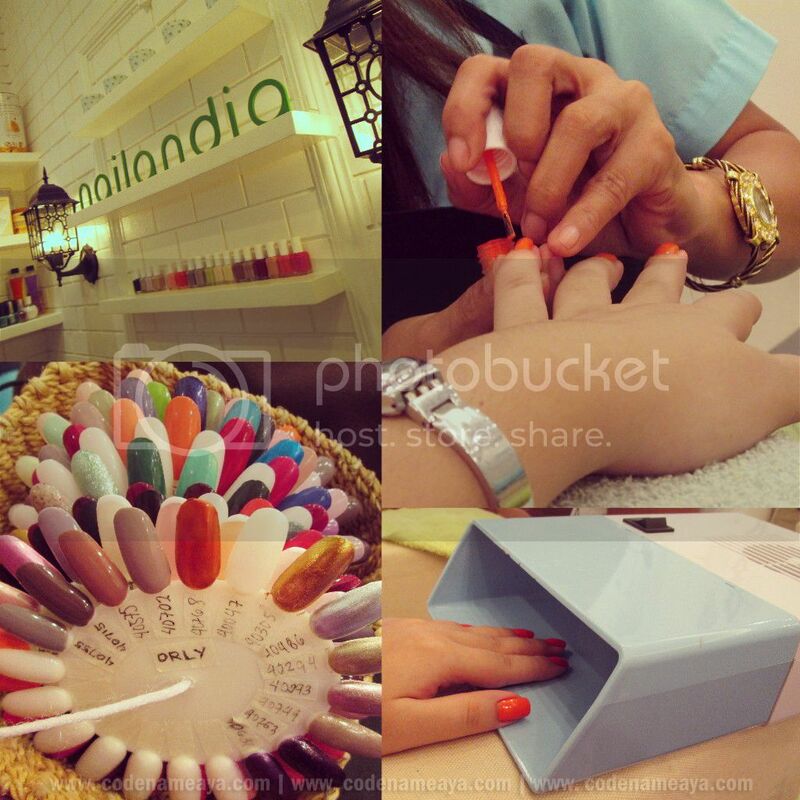 Had them done at my current favorite nail salon - Nailandia Spa! Nails of the day with Essie nail polish in Fear or Desire. I never liked the color orange. Especially on my nails. 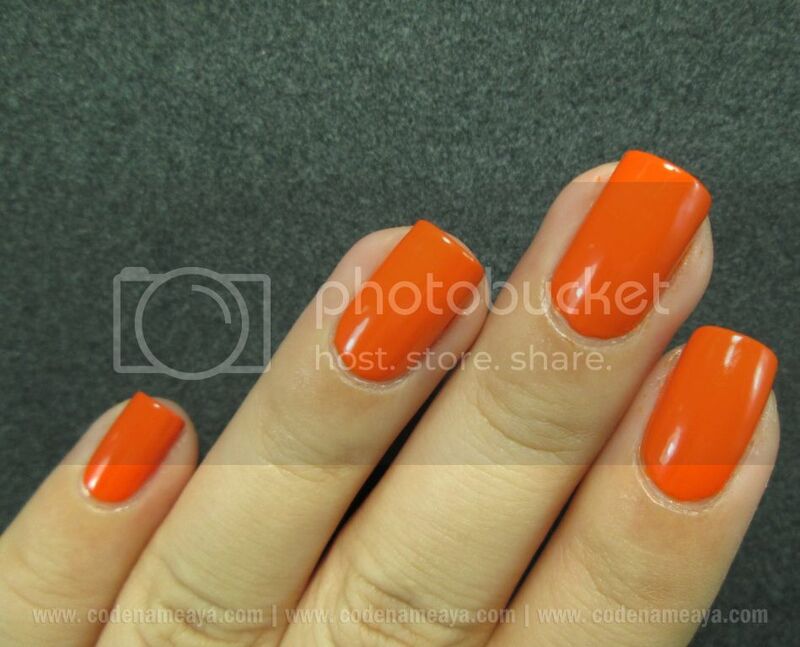 I rarely sport orange nails because I believe the color makes my hands look darker. 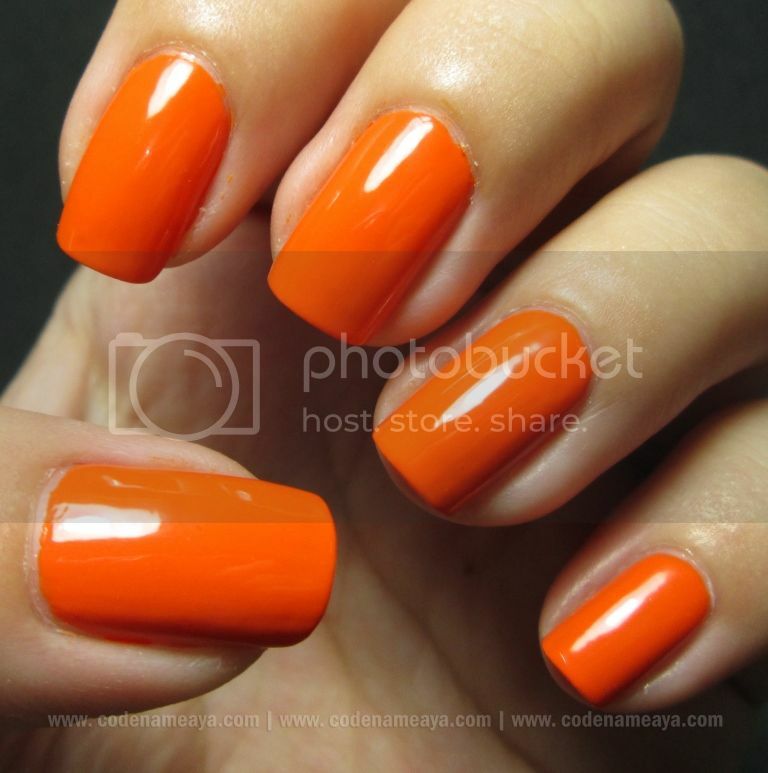 But when I was choosing which shade to go for when I was getting my nails done, this neon orange really caught my eye. I decided to be more 'adventurous' this time and give orange another chance. 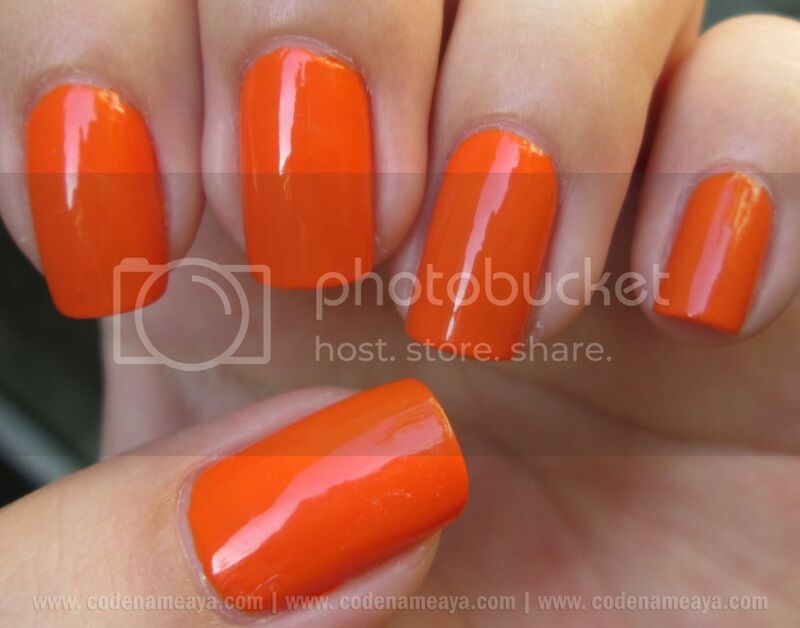 Besides, it's summer, and this color's perfect for the season. I didn't expect to like the results as much as I did. This particular shade seemed to be alright for my skin tone. Still not the best, I believe, but I had nothing to complain about. Ok, fine. So not all oranges look bad on my nails. Finally did orange nails!! Pero mine is not essie. Haha! I mixed Elianto and San San polishes and turned out really pretty! Thanks for the idea. Also shaped my nails na but yours is mas maganda. :( huhu. gaya gaya lang ang peg? haha!! Summer's almost over noooooooooooo! I like this orange. Hehe. Looks so yummy!